My favorite green drink was a hit at April’s Champaign support group meeting! 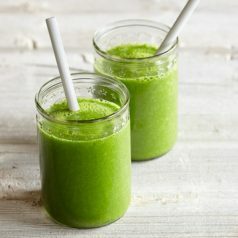 Smoothies are a great way to incorporate fruits and veggies into your diet. Trust me, your body will thank you for this nutrient rich goodness you give it and your taste buds may even do a happy dance!